Ashley English’s series, Homemade Living, are elegantly photographed, informative primers with a “look – you can do it!” attitude. 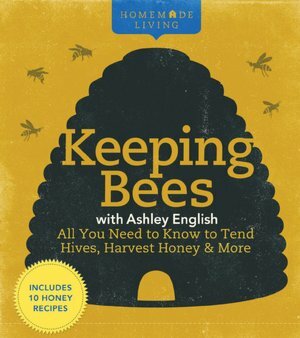 Having enjoyed others in the series, this was the first bee keeping book I chose to read. True to form, the photos were lovely, stories personable and entertaining, and text informational. I only wish there was a bit more photographic detail to enhance the text. For example, when talking about capped cells or propolis or whatever, I really wanted to see a close up picture. Perhaps this is because I am a true novice at this point and have not developed that trained eye to distinguish these things? I think those details would have given me a confidence boost in the pursuit of keeping bees.